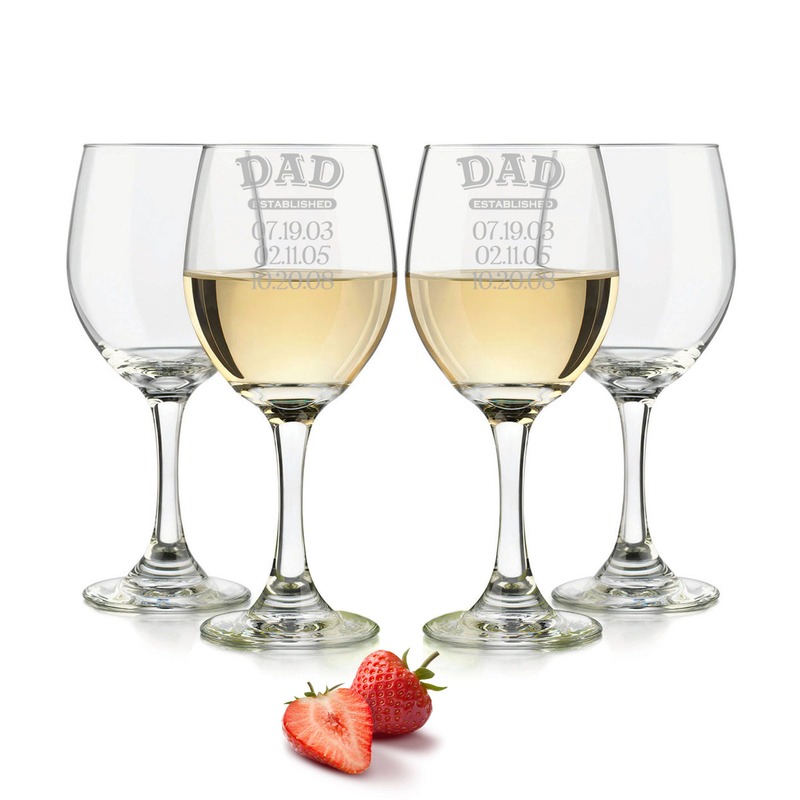 Dad established wine glass, Dad glass, custom wine glass, Personalized wine glasses, custom wine glasses Est. Date Engraved/Wine Glass 20oz. These wine glasses make great gifts for weddings, anniversaries, engagements, new homes, birthdays, holidays or just because! This listing is for ONE personalized wine glass, Please choose the quantity needed from the drop down menu. They are precisely laser engraved directly onto each 20 oz. glass creating a frosted look. Since this is engraved onto the item it will last a lifetime! - Holds 20 oz. of your favorite wine!